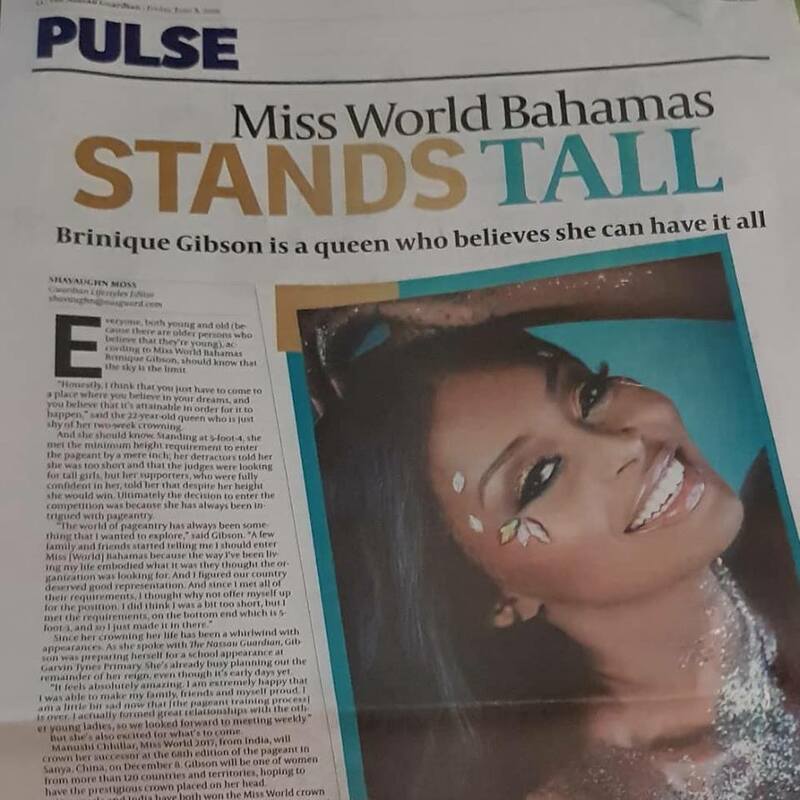 It's been less than two weeks since she was crowned, but Miss World Bahamas Brinique Gibson is already shaping up to be a media darling! Our lovely queen was featured on the front page of The Tribune which also ran a story; she received a spread in The Nassau Guardian; and she was featured on Eyewitness News, all in one day! Here are highlights from here interview with News Anchor Kendeno Knowles.